ABC is going all in. Deadline reports the network has ordered additional scripts for The Rookie, A Million Little Things, Splitting Up Together, and The Kids Are Alright. Splitting Up Together just premiered its second season on October 16th while The Rookie, A Million Little Things, and The Kids Are Alright debuted their first seasons this fall. ABC has ordered three additional scripts for all four TV shows for the 2018-19 season. It’s unclear if this means all four will return for another season, but the script order is usually a good sign. What do you think? Do you watch ABC? Which new fall series are you watching? More about: A Million Little Things, A Million Little Things: canceled or renewed?, ABC TV shows: canceled or renewed?, Splitting Up Together, Splitting Up Together: canceled or renewed?, The Kids Are Alright, The Kids Are Alright: canceled or renewed?, The Rookie, The Rookie: canceled or renewed? Hoping “The Rookie” is renewed – great show that got better and better each week. Great cast, led by Nathan Fillion. I hope ABC doesn’t piss around so long that thc cast is dispersed and are offered other shows. 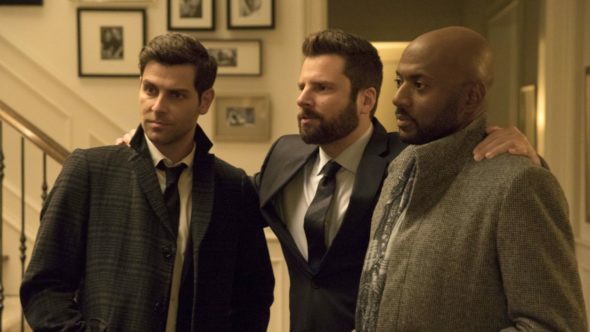 Losing Mercedes Mason (the perfect Captain) was bad enough, but the cast works so well together – hard to imagine the show losing any other regulars! I truly love this show, and since ABC F’d up with “Castle” I sincerely hope they don’t do the same stupid thing with this treasure of a show. I heartily disagree..I wouldn’t be watching Roseanne, or The Connors, or whatever, if Roseanne were still on. I totally back ABC in its decision, and hope it does well from here on in. And, I’m thoroughly enjoying the Connors, without Roseanne, as well as many other shows on the ABC lineup..